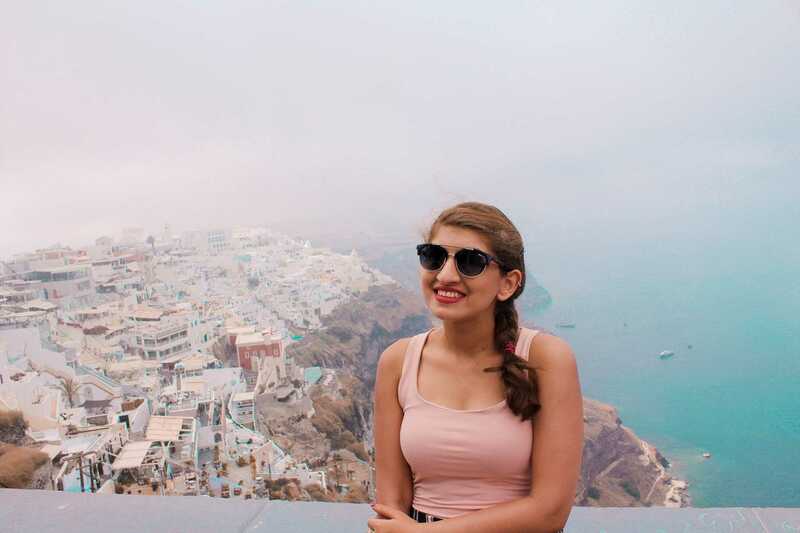 All That's Fancy - Europe Trip Part 3: Santorini, Greece! 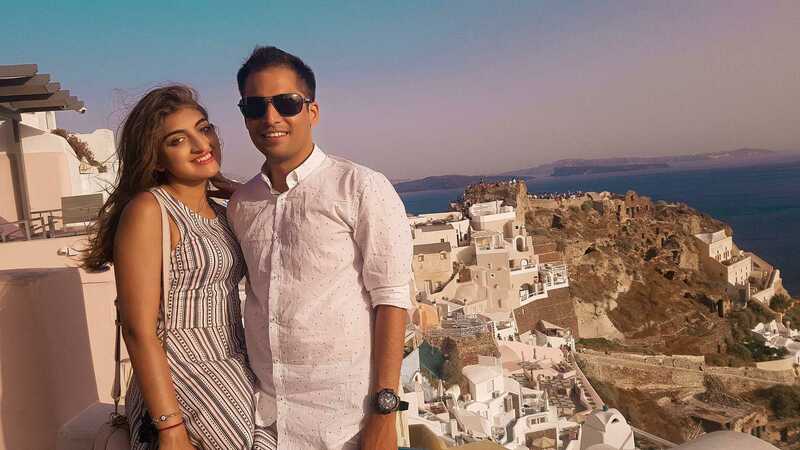 Check out how we spent our holiday in Santorini, Greece last year! 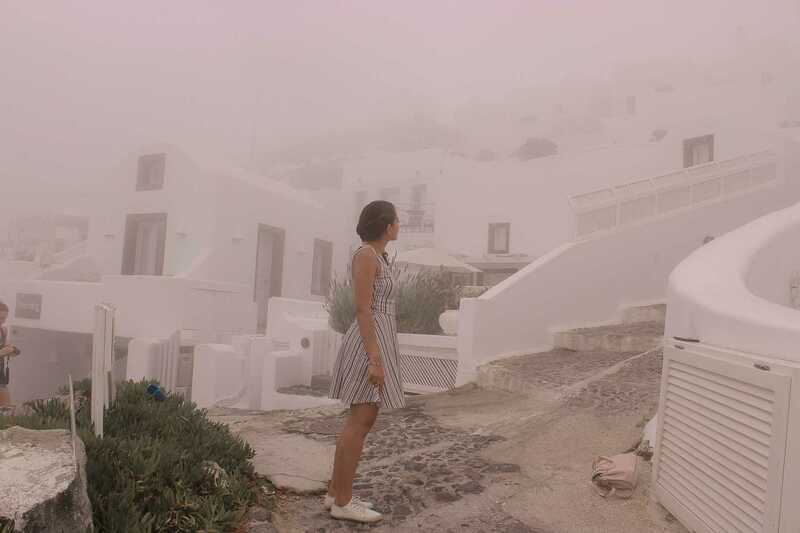 Santorini, one dream destination! It was really like in the movies but only better. 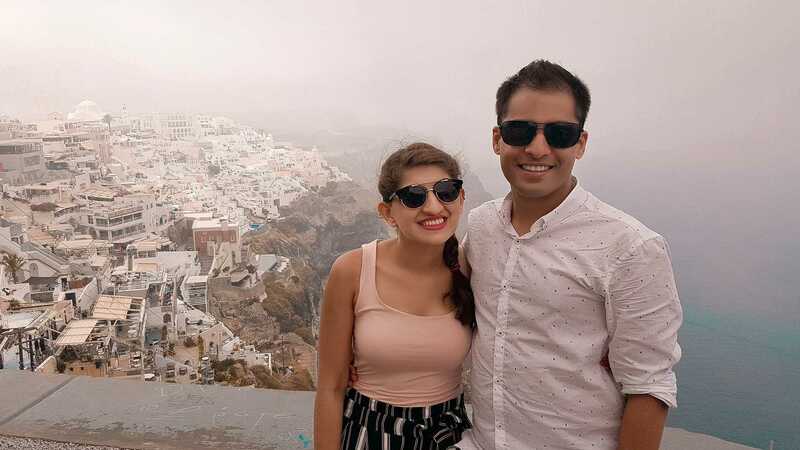 If you are following me then you would know we went to Athens & Mykonos first and our last stop in Greece was Santorini, you know leaving the best for last :) We took a ferry from Mykonos new port to Santorini, we booked the Seajet ferry which took about 4-5 hours to get to this place. We had pre-booked so you can do the same to avoid any delays or confusion specially during peak season (from say May to July end). This island is one of the most cutest & prettiest islands we've ever been to. 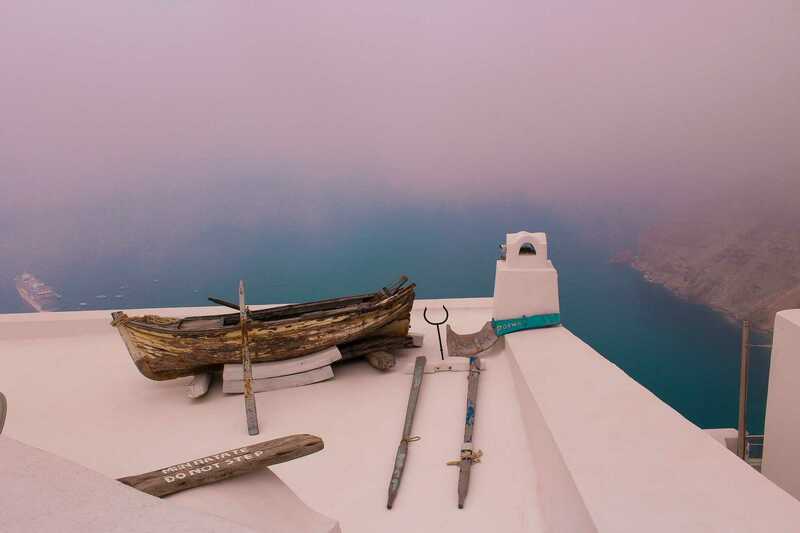 There are two main cities that every tourist covers that is Oia & Fira (also known as Thira). We stayed in Fira as it is a lot bigger than Oia, and had more restaurants & hotels, and is was more commercial. 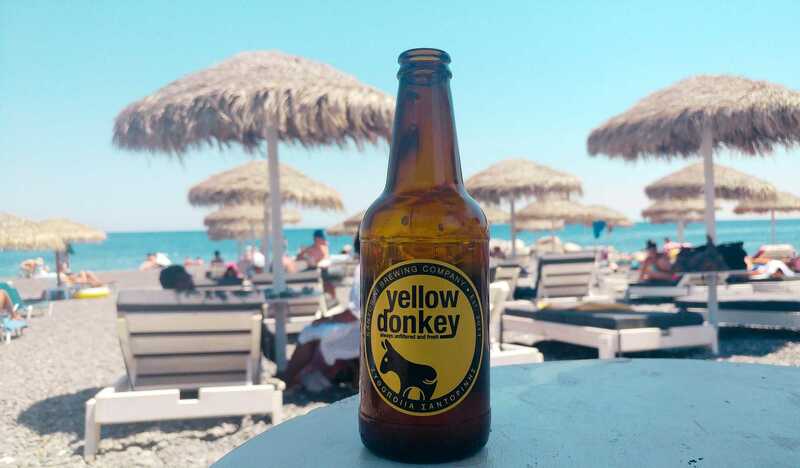 If you are planning a trip then I suggest you to stay in Fira as it is more accessible to the cafe's, beaches, sunsets views etc. 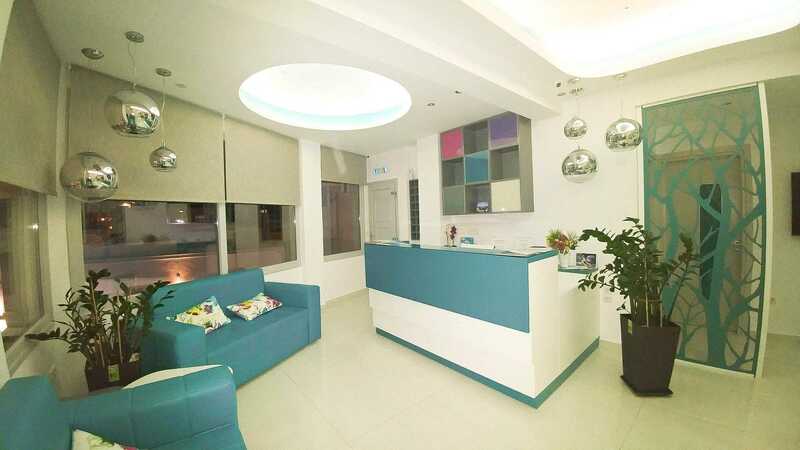 We stayed in this hotel called Sweet Pop which was very much in the city side of Fira. It was a really new hotel and pretty decent, had a pool but the view was not facing the caldera, which we were totally ok with. 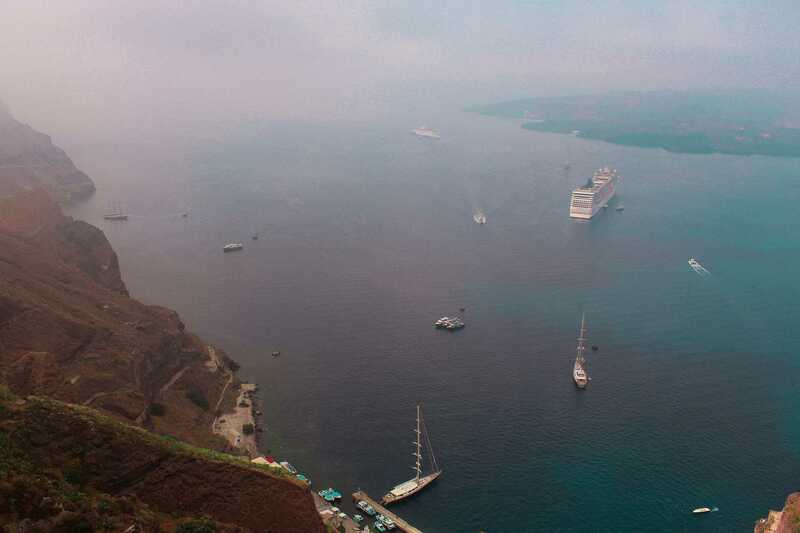 If you want something facing the caldera or on the other side then you can look up sunset view hotels and see the options. View from our hotel facing the other side of Santorini with beautiful sunrise views! We enjoyed the sunsets at the various sunset points, but the sunrise was just so beautiful from our room. 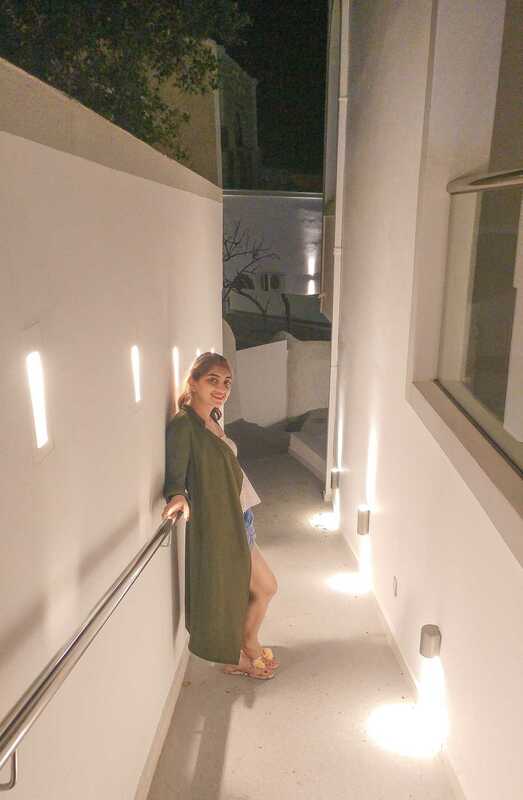 You can totally trust us on this because we are so not the early birds, we take our holidays to be more relaxed but this was worth it. Since our hotel was centrally located, so everything was pretty close by, though we still needed a bike to go around Santorini. You will need to rent a bike or quad bike to commute within the island. We rented one from a place close to our hotel, recommended by the hotel itself. 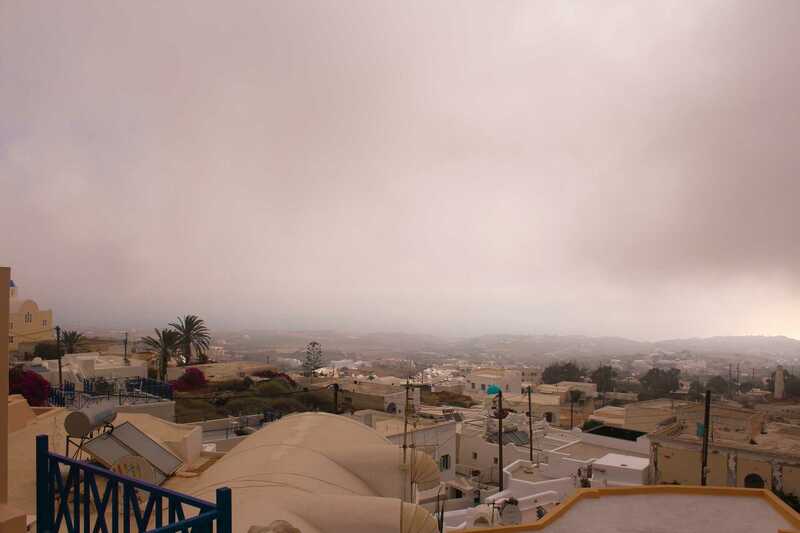 Sit down at any restaurant at Fira, preferably slightly higher the hill so you can enjoy the Caldera view. It is beautiful to see the caldera change from evening to night, while it slowly gets lit up. the view during the day and sunset. This was the beautiful view at night! We went exploring for places to eat, and this was taken from the other side of the Caldera. The Black Beach & the Red beach, These two are a must visits to the beach. When I say black I literally mean Black. The beach was full of black and gray pebbles and it was really beautiful. It is called the "Kamari" Beach and they have plenty of beach shacks & restaurants and beach beds so you can just take a beach bed and relax with a drink or some food. 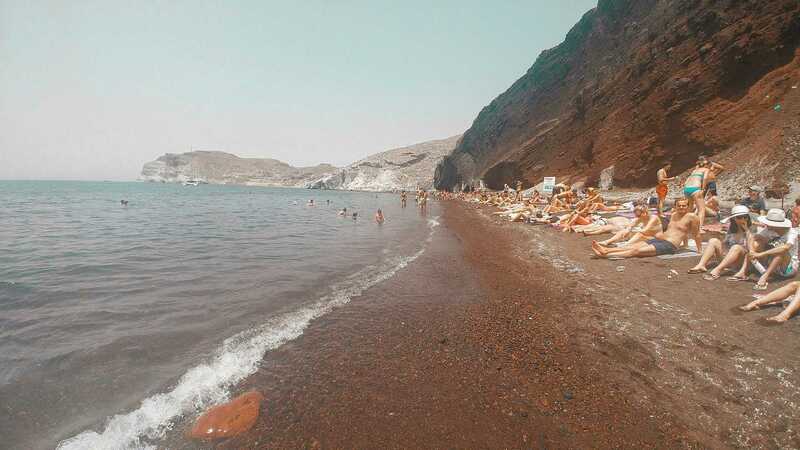 The next beach that we visited and you should too is the Red beach, very close to one of the ancient parts of Santorini (Akrotiri). It is really beautiful but once you get to that point, you'll have to climb a hill sort of to get to the beach. 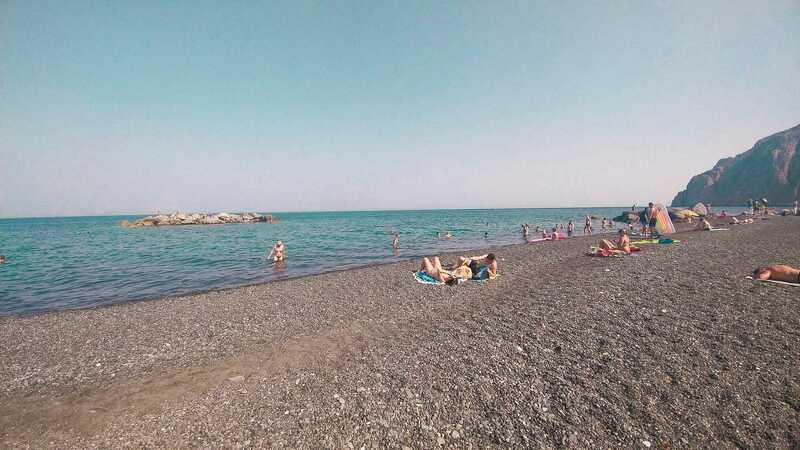 One has to travel a little distance as the beaches are not very close to the Fira city side so. You will not find any shacks or any beach cafe's, no beach beds nothing here so you might want to carry everything yourself. There is a small kiosk sort of a thing which offers some water and a few beverages but that's about it, but it's definitely worth a visit. Another beach that is beautiful and should be covered is the White Beach, but we did not go there so I do not have any pictures of it. Once you reach the Kamari beach, a boat takes you to the white beach as the only way to the beach is by boat after which every few hours there is a boat that takes you to red beach from white beach. We wanted to avoid the hassle of the boat and covering all beaches in a day so we took it easy and covered the other two. Most important is you have to carry your own beach towels as that isn't provided anywhere not even in Kamari. All the above pictures from the Kamari (Black) Beach, we were in love with this beach! This is how the Red beach is, very raw & plain but still nice! Unfortunately I had just one photo! This is really breathtaking. The first picture of this post is a shot taken during the sunset in Oia, Santorini. 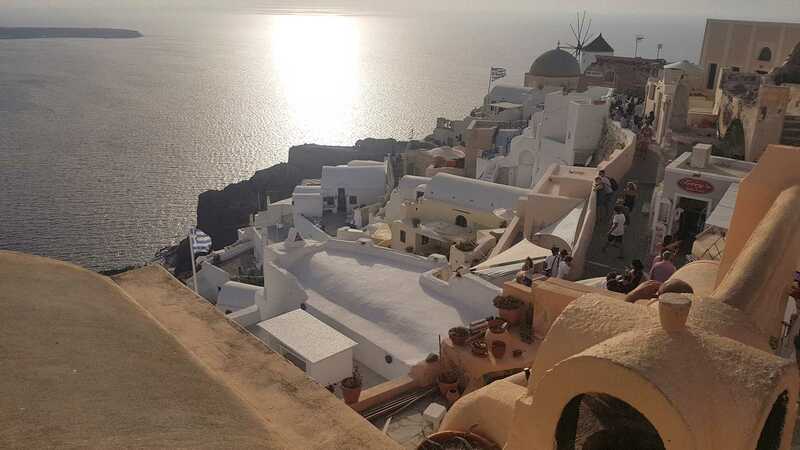 It is worth going there for just a bit as Oia is not that large but you can enjoy the sunset and enjoy a good meal. 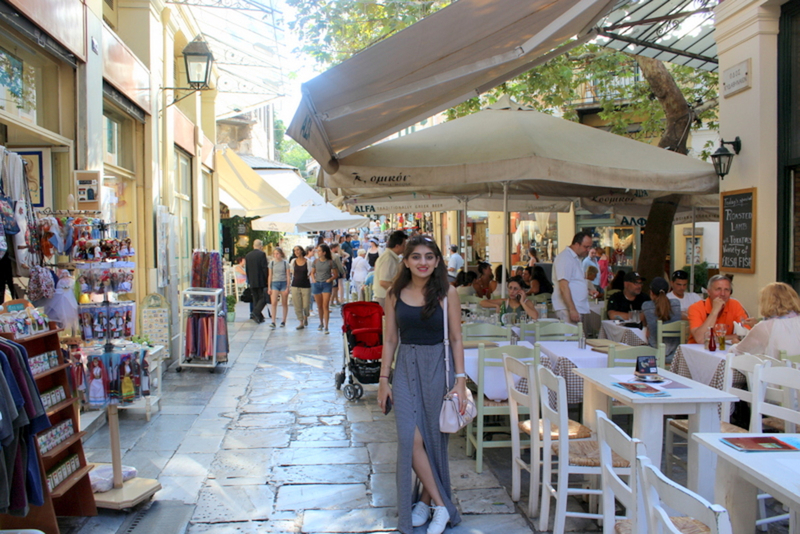 There is a bit of shopping as well that you can do but you can do that in Fira as well so. Wine Tasting, this is a must. 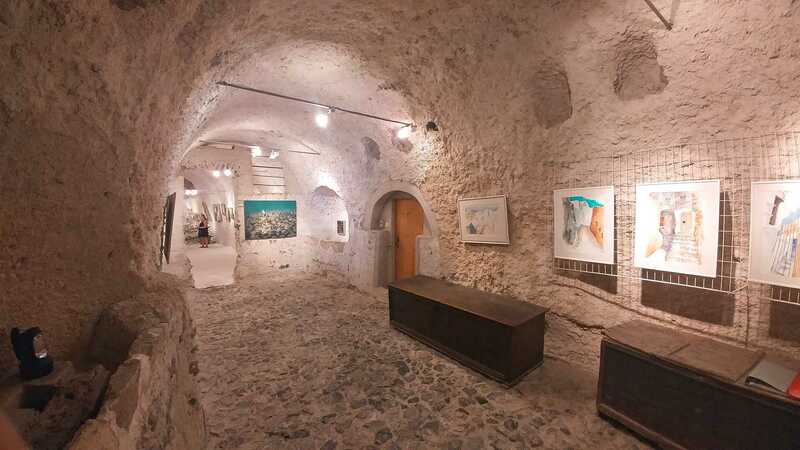 There is a Santorini Wine Museum, where one should go to taste the traditional and oldest wines of Santorini. They take you through a wine tour and then take you for the wine tasting which is really nice. 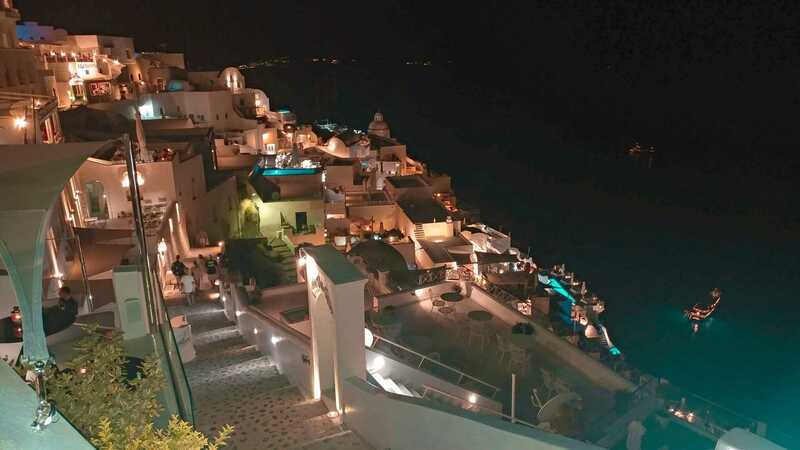 Another place that is beautiful is the Santo Wines, where you can enjoy a beautiful evening tasting some of the best wines of Santorini, have a meal. They also have their store so you taste and then go by the wine of your choice. This is slightly far from Fira but it is worth it. This place is so beautiful that they conduct weddings and other get togethers in that property. 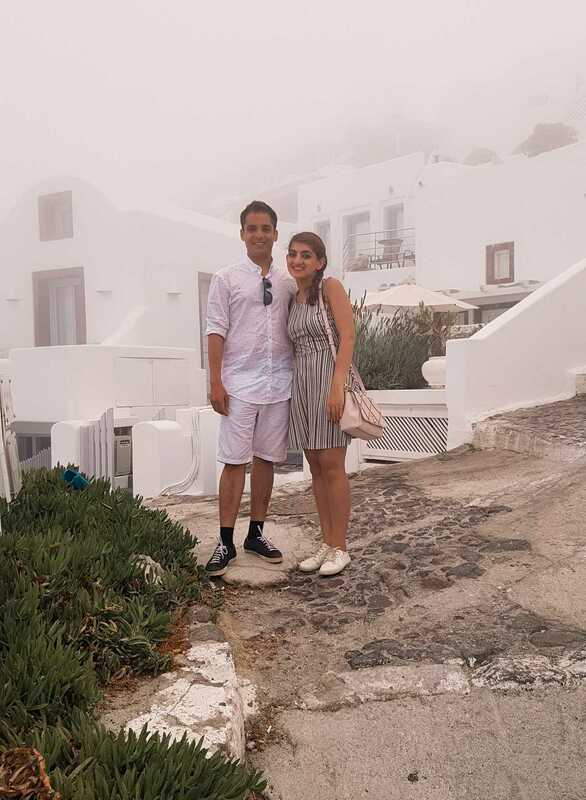 Another tourist spot that is a must visit is the Firostefani Church, unfortunately to our luck, the day we went out to see this place was unusually cloudy, so cloudy that we could see nothing at all, so all our pictures were foggy. It was still beautiful, but it would have been nice to get a glimpse of the tomb of the church. So make sure to check whether before you go, even though we did but these exceptions can't be avoided and are certainly not in our control. You can see how cloudy it was,! 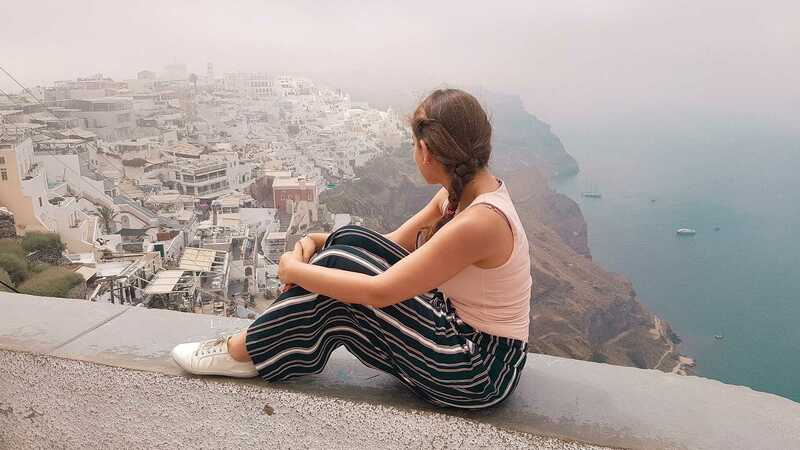 So these are the few places that you must see, apart from that it is a beautiful place to just sit and relax and enjoy the view really. It is very peaceful and nice. You can enjoy nice sunset dinners and the caldera view. If you are looking for parties then a few happen but not on the lines of Mykonos, Mykonos had some of the best parties. Ofcourse, there are quite a few pubs and lounges where you can go and a few clubs are also there. 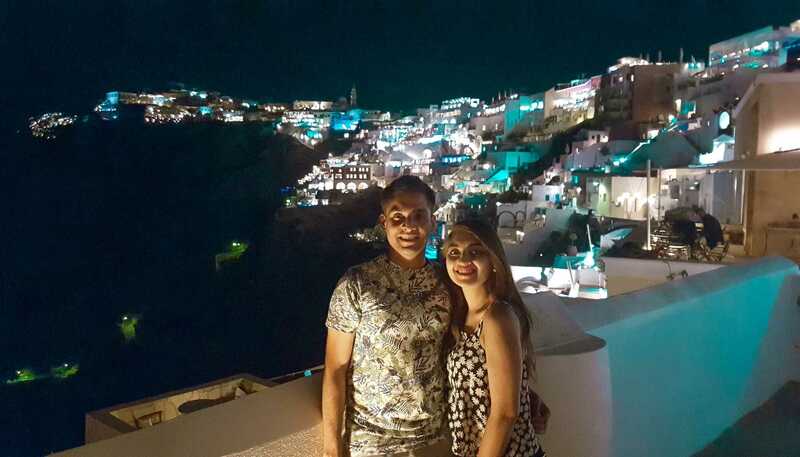 We did notice a few clubs having the greek music, wasn't to our taste so we enjoyed the Santorini wine and the greek salads :P We were more amazed by the serene beauty of Santorini, it is a place anyone would fall in love with. Do notice these little little details while on the rooftops of these hotels! 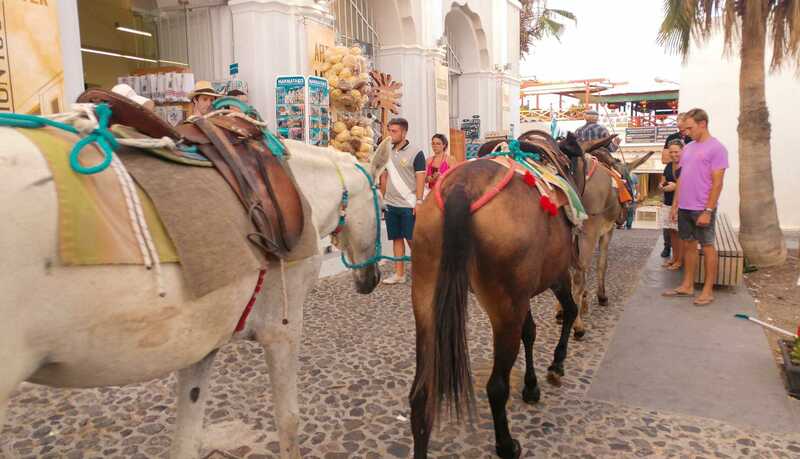 Also, these horses climb up and down through the whole little islands of Fira, Oia at least twice in the day and it is really nice to watch this! 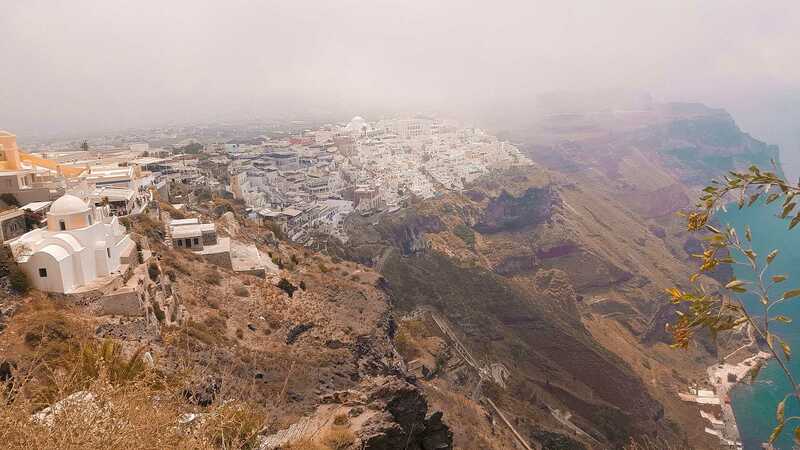 Oh and do not forget to buy some good wines from Santorini as it is place known to have some of the best greek wines, (one such recommendation would be the Vinsanto, you have to have to try this as it is a sweet wine, also called the desert wine. You can buy it from any local shop there, or you can even buy it from Santo Wines but this was one of the most beautiful wines we had ever tasted. So do not forget to taste or buy that). 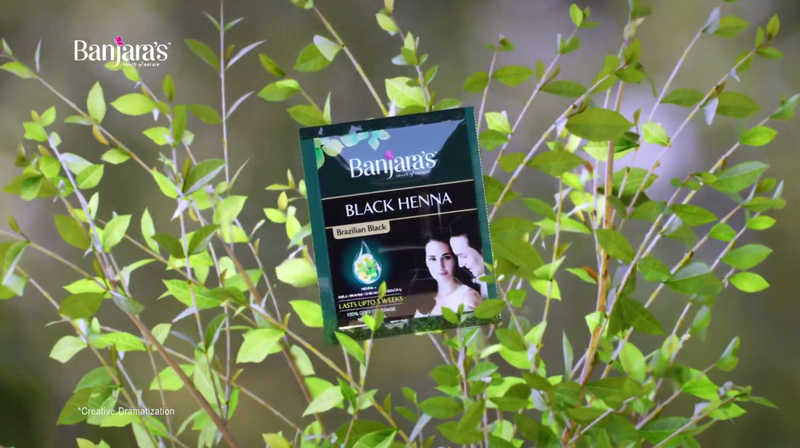 Another thing that you must buy from there is the Black soap which is really nice. You would not get this everywhere and even if you do it is really genuine here. They also have the Vinsanto flavour or fragrance in soaps which is the red soap and that smells eternal. We loved the place so much that we got ourselves little souvenirs to take back home as well. Go through the places mentioned in my blog and research before. Pre-book your hotels in peak seasons as it gets super crowded. Do not go around without a Helmet in Santorini cause they are pretty strict about it. Try the Gyros from the restaurants there as it tastes really good and ask for fries only for vegetarians. Vegetarians must be prepared and look out for deserts and non-greek food or live on greek salad. Carry your own beach towel. 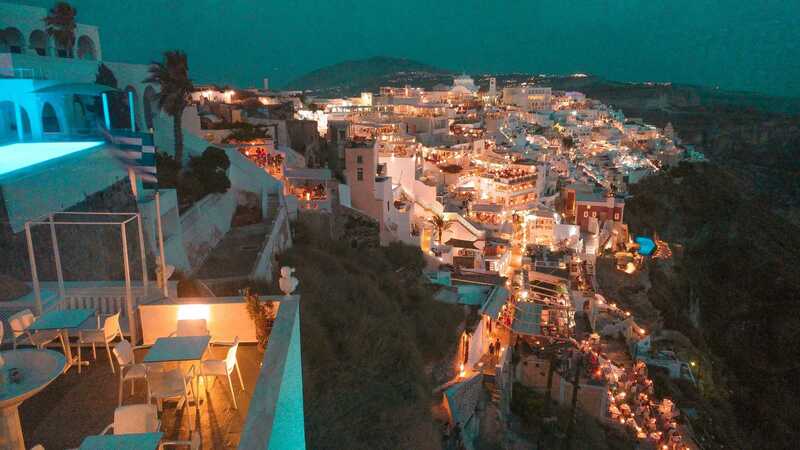 If you want a busy & commercial place to stay then Fira else a quiet nice place in Oia should do. Buy the Black soap from any local store. I hope you all enjoyed this post, or found it useful. Santorini is a beautiful place. So if you get a chance do make a visit and spend a few days there to really enjoy it. 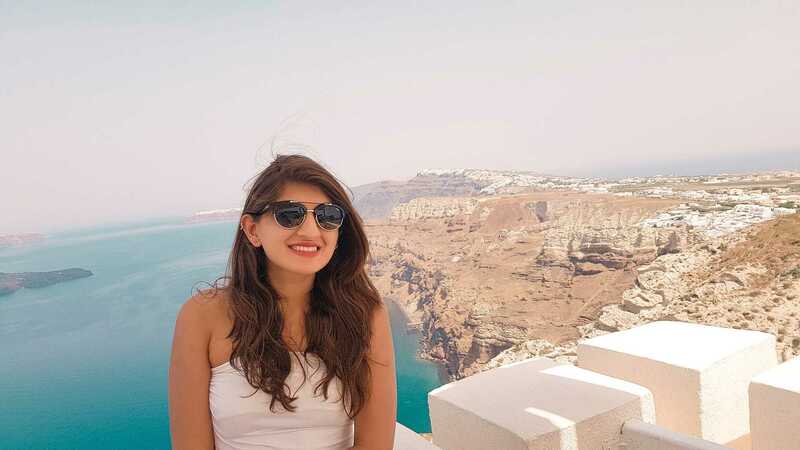 If you like what you're reading and would like me to write more travel posts, then I can share our travel experiences of Italy & Dubai as well. Would love to hear from all of you. You can follow me on Instagram, Facebook, Twitter and Snapchat! See you guys in the next post, Stay Fancy!